There were plenty of snubs in the Oscar’s annual In Memoriam segment Sunday night, but a political blacklist is the only possible reason for the Academy’s decision to shun the great R. Lee Ermey. Stanley Donen? He died just hours prior to the telecast. Oscar nominee Sondra Locke? She has been out of the public eye for decades. Ricky Jay? Too few movies. Verne Troyer? Too few movies. This snub is without question the act of Hollywood blacklisters who want the man erased, memory-holed, and forgotten… A man who’s personal political beliefs are verboten in an increasingly fascist industry. Ermey was a Marine for 11 years and a decorated Vietnam veteran. When he retired from the Corps in 1972 due to injuries, he jumped into the motion picture business as a technical adviser. This led to a storied acting career that anyone with any aspiration in that field would envy. 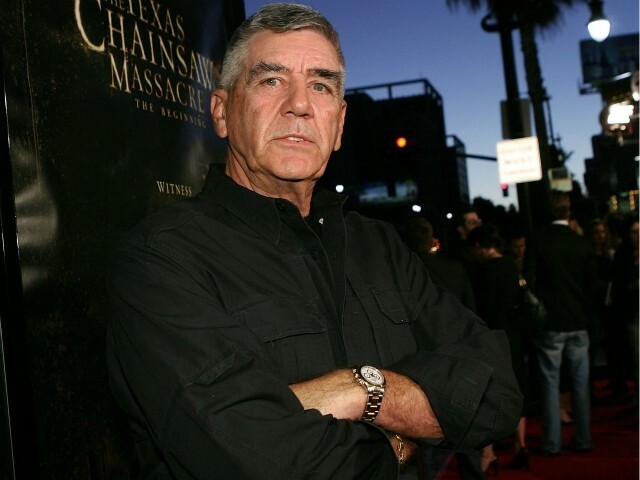 Over the course of a 40-year career, Ermey stacked up 125 film and television credits. This includes roles in a number of popular and iconic movies, including Mississippi Burning (1985), Leaving Las Vegas (1995), Se7en (1995), Dead Man Walking (1995), Texas Chainsaw Massacre (2003), and the Toy Story trilogy (1995 – 2010). On television, he appeared in Miami Vice, The Simpsons, Family Guy, and a ton of other animated shows. He was also the star of his own reality shows.